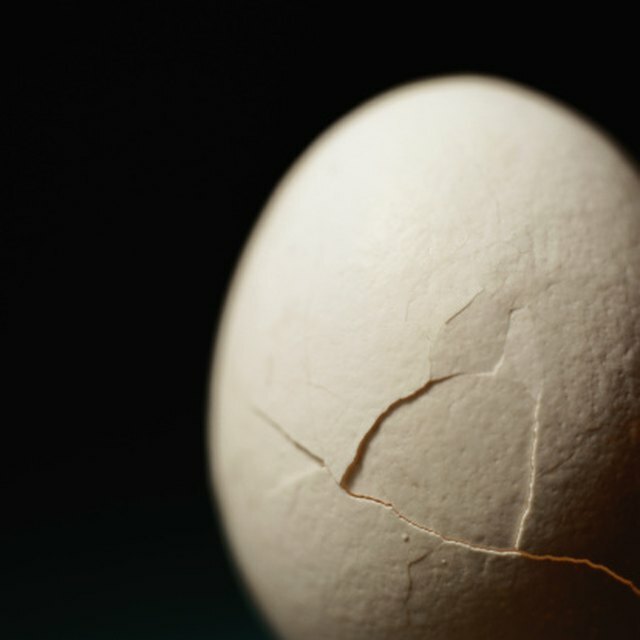 Whether it's an egg drop or a crash test, finding a suitable substance to absorb impact can be the difference between a compelling demonstration and a failed test. Many commercial substances provide shock absorption, but most are not available to consumers or the budding scientist. Fortunately, many everyday materials, especially packing materials, provide ample shock absorption for science projects. Test the efficacy of a few different ones to see which works best for your experiment. When a delicate object is packed up for shipping, often the empty space in its box is filled with Styrofoam packing peanuts. These small pieces of foam fill in the contours of the item to be shipped, protecting it and keeping it in place. The peanuts also absorb the shock from blows to the outside of the box and prevent that shock from being transferred to the item. The same principles that make them useful for shipment make them a good starting point for absorbing impact in your science project. In the same vein as packing peanuts, bubble wrap protects items in shipment. Stacking several layers of the air-filled plastic sheets creates a functional cushion for absorbing the impact in your experiment. To test it out, place layers of bubble wrap in the bottom of a tall box and then hurl, drop or otherwise jettison your experiment's item into it. The box ensures that at impact the test item won't bounce on the bubble wrap and then land on a less forgiving surface. An often overlooked shock absorbing material is simple newspaper. Crumple old paper and pack it into a box loosely. Use this as you would the packing peanuts or bubble wrap. The advantage paper has over bubble wrap is that it is less prone to springing or bouncing the item impacting it. It absorbs more shock, by giving more, and thus sends less of the shock back at the test item in the form of a bounce. If you don't mind getting your test object a little wet, gelatin is a good shock absorption material. Use corn starch and water, or plain gelatin mix, and make a batch in a large pot. Spoon an amount to be tested into a plastic tub and send your test object in to the mix. The mixture has less surface tension than water and thus allows for a more cushioned impact. Leahey, Andrew. "Substances That Absorb Impact for Science Projects." Sciencing, https://sciencing.com/substances-absorb-impact-science-projects-8400100.html. 28 April 2018.